Like most NZ ports, Port Otago used to train future pilots as tug-masters for anything up to a year before piloting. This was a fairly unique arrangement in the world of piloting, much admired by other pilot training establishments since it made for a more tug-aware pilot. Sadly, that pattern here fell into disuse in recent years due to a lack of NZ applicants, which resulted in the recruitment of pilots from overseas who lacked this dimension. One possible remedy to address this deficit arose after the endorsement of Arie Nygh by Wellington’s Charles Smith. Wellington’s switch from Voith to ASD tugs had caused some problems: to assist the transition, Arie Nygh (founder of SeaWays) was drafted in to help re-train some of their tug masters. Arie Nygh’s philosophy stemmed from his own bad experience of poor training and feeling out of his depth. Rather than succumb, Arie developed an analytical approach to tug-handling and formulated a proficiency-based training (borrowed from his son’s Air Force training to fly F-18 jets). Using this new training technique, Arie went on to train 350 tug masters over the last 15 years. Ever mindful of the growing need to set (and maintain) standards in order to share the skills required for every situation (including emergencies based on actual incidents), Arie’s system fulfills STCW 95 (the need for both certification and qualification) which gives a tug owner and operator resilience against hostile litigation. Port Otago asked Arie to train 4 novices (3 pilots and 1 GBO) to complete “Module 1 Tug-Handling” over a 10-day period, each day split between two pairs of trainees. Hurricane Arie arrived on 20th August complete with a streaming flu – which he also shared widely. Five hours of hands-on (literally) tug-handling on a temperamental “Sun Tiger” class of ASD tug was exhausting. Each evening, training continued at home with upside-down coffee mugs – at which we proved most adept. Traumatised trainees berthing a tug on which explosives were being worked helped concentration immensely – lest the need to ever have to dredge again became an academic point. Sadly, the last two days of training were hugely interrupted by the need to service shipping (bloody ships!) with the result that only the GBO (formerly skipper of deep-sea trawlers) passed the test (better hands-on skills?). Sincere congratulations, Paul. On a happier note, no such training is wasted and all tug personnel learned masses of value which will pay dividends in the future: fuel economy; minimising cavitation – thus less wear and tear; precision-driving – therefore less damage to ships, tugs and infrastructure; tow-rope use, types and qualities etc. The Holy Grail of mastering one’s ‘tool-box’ of tug-driving skills is the performance of the “Competency Circuit” within a specified time. This circuit training is not just for trainees but ensures that all tug-masters’ skills can be quickly honed – especially after a period of absence. All four trainees are keen to progress a very promising start. Arie also introduced the concept of the annual audit, which has been taken up by several ports in Australia. It is this verification process which provides resilience. Some skills acquired and honed may only ever be used once in the course of one career – but may prevent serious damage to personnel, tug or ship. Without a shadow of doubt, Arie’s visit has been of immense value to the port and we look forward to continuing the momentum thus imparted (see “full inertia turn manoeuvre”). I had been operating a uni lever ASD for four years with limited training before getting the opportunity to be trained under the watchful eye of SeaWays Captain Arie Nygh. Training for module one uni lever, Arie quickly picked up on all the bad habits I had taken on over this period. He soon had me up-to speed gaining confidence and finesse until I could master the competency course. Aries training system helped me to understand the dynamics of tug handling and hone my skills to a high standard. This improved my knowledge and technique and enabled me to be more efficient and safer operating the tug. 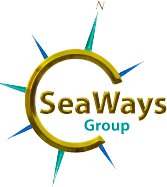 Recently I attended SeaWays training in Portsmouth UK under the guidance of Captain Steve Sandy. Module’s one and two combi lever training on a state of the art simulator. Amazing facility, high tech and completely realistic, a very relaxed atmosphere with plenty of time and instruction to complete all sections of the syllabus. Again, this training was to a high standard from very experienced Tug Masters with a wealth of knowledge. I not only gained practical knowledge but also learned the physics of tug handling, interaction between the tug and the ship. After completing the course I have taken command of a modern Z tech combi lever tug working at Barrow Island in Western Australia and now putting all the training into practice. The SeaWays training has enabled me to operate with confidence and safety and allowed me to advance my career. I highly recommend SeaWays training to all Tug Masters. Details of the Recommendation: “Arie has over the years shown great commitment and professionalism in the special field of safety and competence management of harbour and terminal towage. His development of training and assessment methodology to provide standard to safety and efficiency to these operations is remarkable. 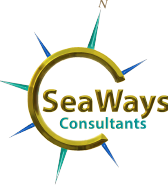 “The seaways training course modules one and two is without doubt the most frustrating but yet rewarding courses I have attended. I found an excellent balance between theory and practical. The training was delivered by a number of professional, dedicated and enthusiastic instructors, each of them leaders in the field of ASD and Harbour towage. Seaways training module 1 and 2 has been one of the most beneficial courses I have completed in my career. As a Master who had only driven twin screw vessels, this course has opened more opportunities and defiantly helped me get into the Harbour towage industry. After doing the training on the BMSC simulator and then doing the same on the real tug I already had a clear mind about what I needed to do to move the tug in a controlled manner. I also found that the simulator had very similar interaction around the ship as to the real thing, which gave me a great understanding of what was happening when I did this around a real ship. A big thank you to Seaways, I can see that Capt Arie Nygh is dedicated in training Tug Masters around the world and making our industry a safer place. Just wanted to send you a quick note. Before I decided to do the Seaways course I spoke to different people in our industry and there was mixed opinions as to whether the course would be beneficial or not, but I can say with all honesty that this has been my best career decision in 31 years. I believe that not only have I learnt how to drive an ASD Tug but the correct and safest way to drive. I do realise that there is so much more I need to learn but this course has given me a platform to start with and to build on. I have done quite a few courses at other training facilities (High Speed Navigation, Bridge Resource and Crew management) and in house with different employers and none of them stack up to the excellent course that you ran. The difference between those courses and yours, I believe is that they are getting paid as a 9 to 5 lecturer where as you are doing it for the passion and to pass on your knowledge for a safer industry. You have inspired me not only to become an ASD Tug Master but to become a better Master in all aspects of my career and to do more learning. There were a few grumblings amongst my colleagues that I was asking to many questions, but if you don’t ask then you won’t learn is how I think. You are a true inspiration and I am forever in your debt to opening up my eyes and passing on your knowledge, I have found in the past that Masters are not willing to pass on their knowledge mainly due to fear of “if he knows as much as me then my job is at jeopardy”. Thank you also for the photos and information on the memory stick, it’s a wealth of information that I am slowly working through. I thank you from the bottom of my heart for all your help and patience. I hope that our paths cross one day as i wish to learn more from you and I very much enjoyed our discussions. Arie Nygh and the SeaWays Tug Master Training Program have been integral to the success and growth of PB Towage since entering the Australian Harbour towage market in 2007. PB Towage consider SeaWays Tug Master training a significant competitive advantage, the same objective competency based standard delivering optimal safety and efficiency outcomes across their growing fleet. While the towage industry is seeing the power of tugs go up around the coast, it is not just bollard pull that Marine Pilots are looking for. Quality training, in particular of the Tug Master in conjunction with the Pilot is the key to the effective use of a modern, omni-directional tug. It normally takes in the order of three months to train a new Tug Master. Even if you have a good training system, the cost of “live” training is prohibitive taking wages, fuel, weather and opportunity into account. The ability to replicate manoeuvres in an advanced, well calibrated simulator, configured for specific port and vessel condition, allows the trainee to achieve the required level of competency in a fraction of the time. Full mission simulation is the future of Tug Master Training and PB Towage recognise SeaWays as an international leader in the field. I completed my Azimuth training with Seaways in early 2006 and cannot thank Arie enough for the knowledge he passed to me at that time. Not only did we complete the hands on ASD training but covered aspects of professional development that still assist me in everyday operations. We covered items like our company safety management system, which was still in its infancy, crew and client management, personnel management and of course the mantra of Authority and Finesse. I still refer to my training almost daily and always have my training manual at hand. I would highly recommend the Seaways training to any of my officers or anyone who was serious about becoming a professional ASD Tugmaster. As an alumnus of the Seaways training system I feel confident that the skills taught allow me to do my job effectively, efficiently and safely. Harbour towage is a dynamic activity and I now feel able to get the best out of the boat and myself in responding to the ship’s needs. As a Seaways trainer I have the privilege of helping to equip future tugmasters with the skills needed to do the job well and safely, hopefully raising the industry standards as we go.